S & E Teachers Edition is a leading manufacturer of school, home and office paper supplies. 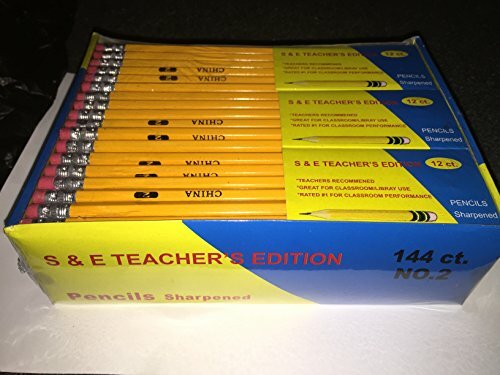 S & E Teachers Edition #2 Yellow Pencils come in an affordable bulk pack with 144 pencils that is ideal for office, school or general writing use. S & E Teachers Edition pencils are a must-have item for any supply closet, backpack or desk. Each pencil is made from real poplar with a latex-free eraser built in for easy smudge removal. Complete your school or office supply list today with these great pencils from S & E Teachers Edition! S & E Teachers Edition products offer everything you need to stay organized and make the grade. Make the most of each project with school, home and office supplies from S & E Teachers Edition.